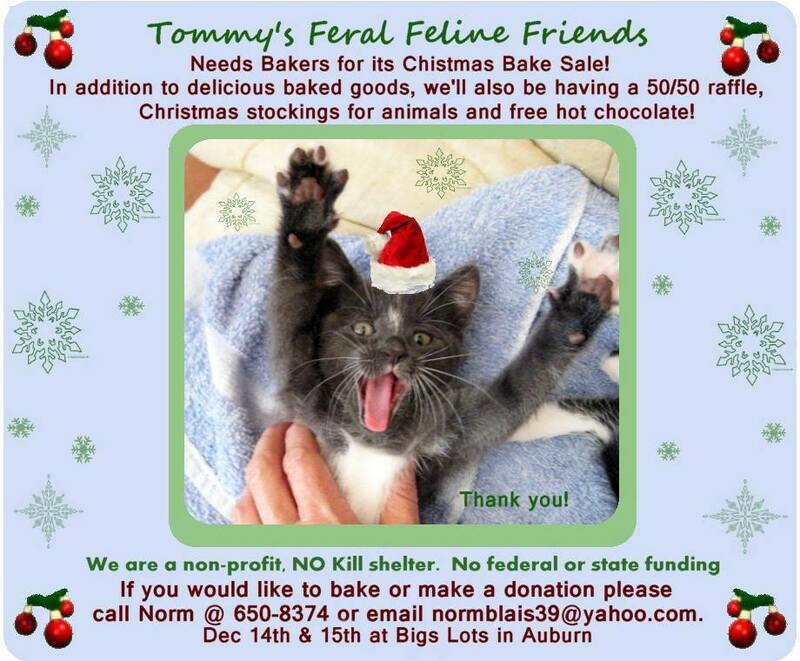 On Saturday and Sunday, December 14th and 15th, Tommy’s Feral Feline Friends will be hosting its annual Christmas bake sale at Big Lots in Auburn. If you would like to bake we surely would appreciate it. If you don’t have time to bake then come over and purchase some of the best baked goods in New England. All of these proceeds will help the many animals in our care who desperately need medical care and surgeries. It has been an extremely tough year for these animals. Any help would be greatly appreciated. If you would like to send a donation you could send it to Tommy’s Feral Feline Friends;P.O.Box 274,Greene,Maine 04236. If you need more information please contact normblais39@yahoo.com or 207-650-8374. I’ve been doing this for over 35 years and my partner and I have never seen so many animals in need of our help. Any small act of kindness could help save their lives. Tommy’s Feral Feline Friends is the Designated Non Profit for the 2014 Greater Androscoggin Pet Expo to be held Friday & Saturday, September 26 & 27 at the Lewiston Armory on Central Avenue in Lewiston, Maine. For more information about Tommy’s, check out their page on Facebook at https://www.facebook.com/pages/Tommys-Feral-Feline-Friends/144388569019006 or visit their website at http://www.tommysferalfelinefriends.com/. They do the work of angels, and on a shoestring budget, in the freezing cold, in the rain, and in the sweltering heat. Unlike most shelters and rescues that work mostly from indoors, Tommy’s volunteer staff work outdoors in the elements, because that’s where the feral cats live. 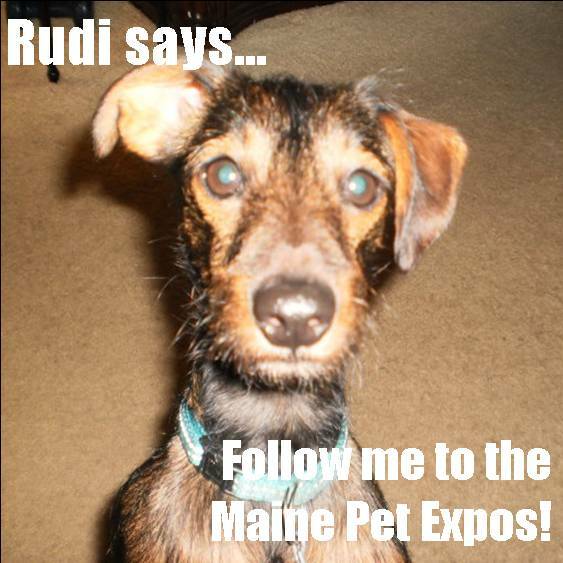 This entry was posted in Androscoggin Pet Expo, Designated Non-Profit, Designated Non-Profit, Rescue Organizations, Supporting Other Organizations, Volunteering and tagged bake sale to support rescue, feral, feral cats, feral kittens, kittens, Maine, Norm Blais, rescue, shelter, Tommy's, Tommy's Feral Feline Friends.